To say that The Simpsons needs no introduction is an overwhelming understatement. The Simpsons are such a massive cultural icon, even with the not so great state of its current product, that you take it for granted. 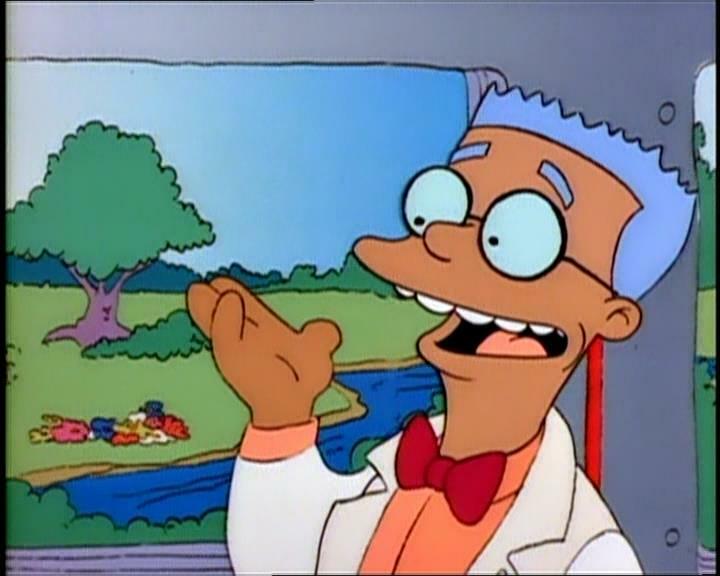 It only occurred to me a couple months ago that I had watched so many Simpsons reruns since the age of 4 or 5 that I probably recognise every last episode from the first dozen seasons. Since recently rewatching the brilliant ‘Homer’s Enemy’ from Season 8 (you know, the Frank Grimes episode) and since seeing Foldable Human’s fantastic video on the progression of Homer Simpson as a character, I’ve started to put the value of The Simpsons’ fantastic earlier seasons into perspective, and what better way to start than by going back to the very beginning. As series creator Matt Groening explicitly says on the back of the Season 1 DVD, “we didn’t know what the hell we were doing back then.”. There were a whole lot of scale inconsistencies, as can be seen above with Bart towering over his peers at almost twice the size he should be and as it would be seen in the opening sequence for the first 19 seasons. 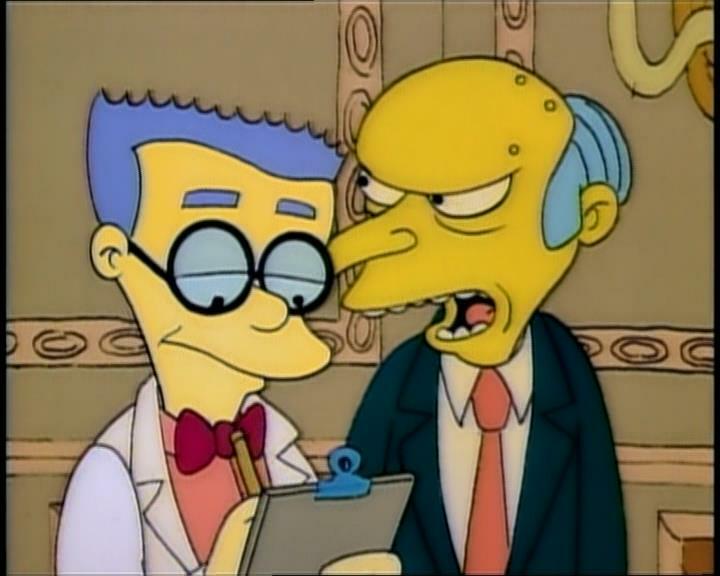 There were side characters whose appearances changed from episode to episode, most notably when Smithers goes from being black in episode 3 to being white in episode 4 before eventually settling on something similar to his final design in episode 8. 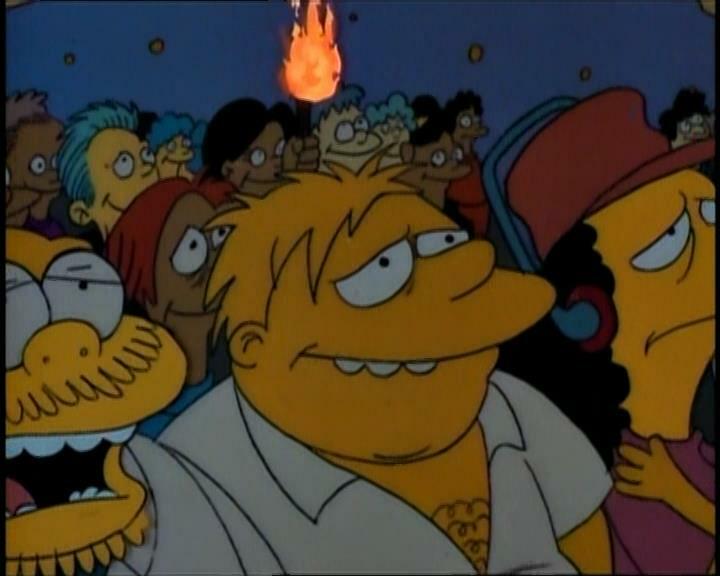 Speaking of changing looks and episode 8, Sideshow Bob and Barney both look totally different in their two separate background appearances in the episode. Yet another slip-up in episode 8 that I managed to catch on to just by being lucky enough to pause at the right moment comes when the chalkboard gag “I DID NOT SEE ELVIS” changes for a frame before it goes off screen to “I WILL NOT WASTE CHALK”, which was the gag from episode 2. 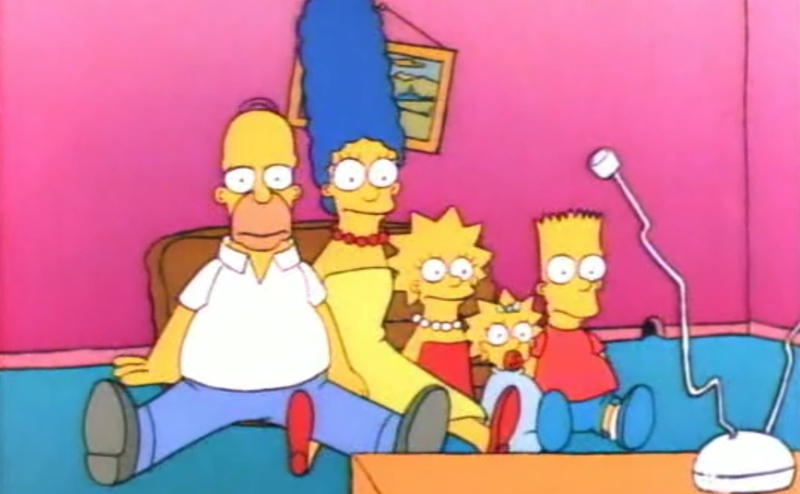 Looking at animation alone I could go on for days about the inconsistency and tackiness of Season 1 of The Simpsons. It was also a series distinctly lacking in identity in a lot of ways compared to what it became, notably in its crudely doodled and indistinct background characters. 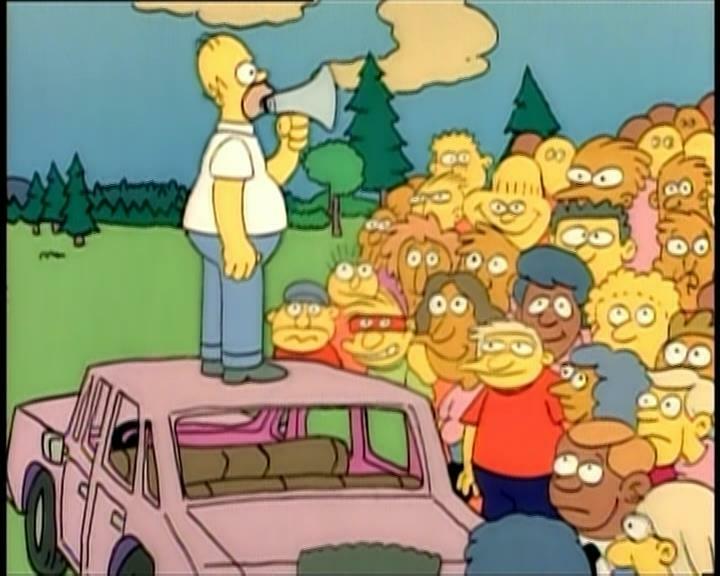 A ton of characters, in particular Dan Castellanetta as Homer, were still developing in their distinct vocal performances, and certain characters had yet to develop core traits they would have in later seasons, like Flanders simply being the successful father of Homer’s envy rather than a goody two-shoes religious nut. It was much slower paced, dragging its plot points and scenes on a lot more with less sharp gags and less dense narratives than later seasons. In short, it was a mess. 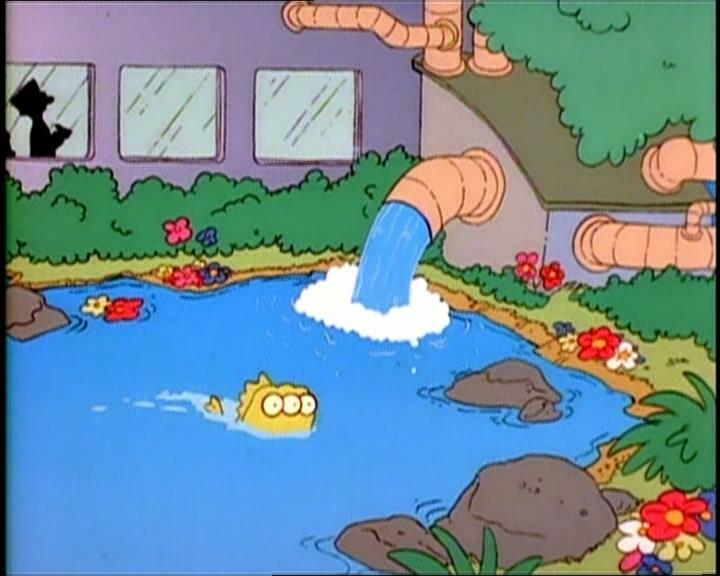 That’s not to say the first season of The Simpsons never had a sharp wit. It wasn’t always graceful, but it had a solid share of great gags. The three-eyed fish in the Nuclear Power Plant, Bart and Lisa arguing over who Maggie loves more only for her to hug the TV, finding out in episode 5 that Herman was the kid from Mrs. Krabappel’s seemingly made up cautionary tale about sticking your hand out of a bus in episode 3, the list goes on and on. I have no doubt in my mind that for a late 80’s to early 90’s cartoon sitcom The Simpsons was damn clever right from the start. Without a doubt I would say my highlight of The Simpson’s first season would be episode 12, ‘Krusty Gets Busted’. 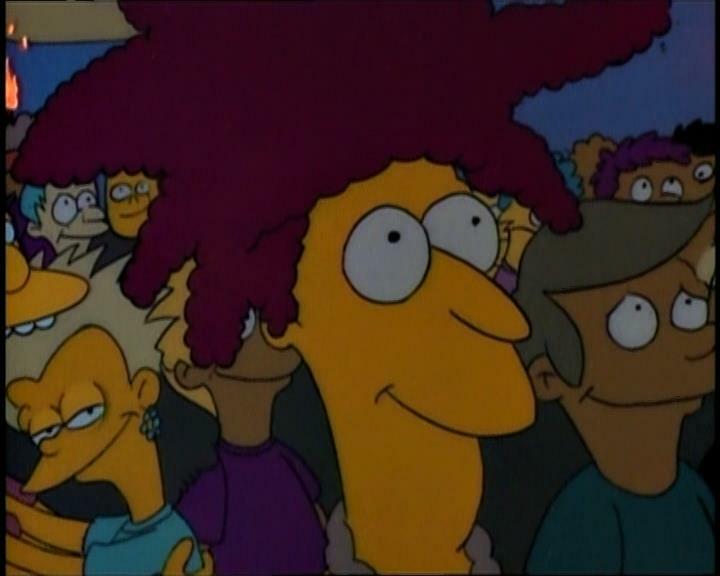 This is the very first centered around Sideshow Bob, a deviously cunning and maniacal genius who happens to become Bart’s absolute worst enemy by the end of the episode. At its surface it’s a simple but effective detective story. 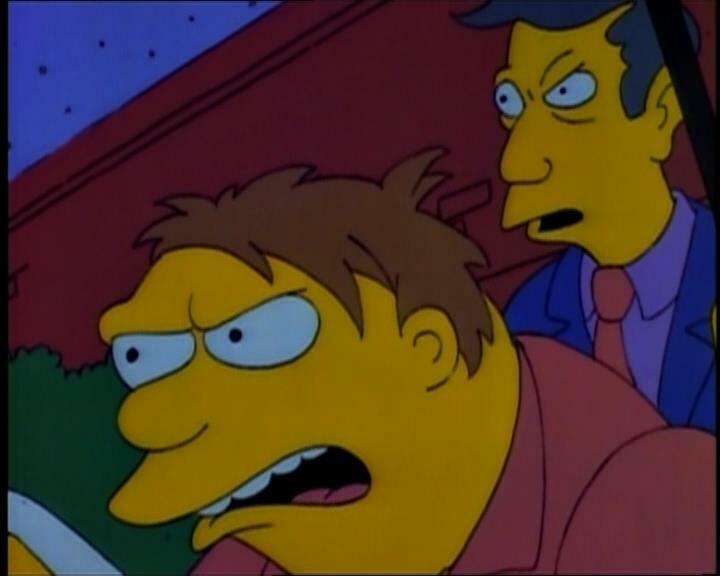 Before the truth of Bob’s guilt is revealed you get subtly clued in to all the little hints that it was Sideshow Bob who robbed the store and not Krusty, namely Krusty’s pacemaker, his illiteracy and his small feet, the latter of which was the evidence that got Sideshow Bob and his unnaturally long feet caught. 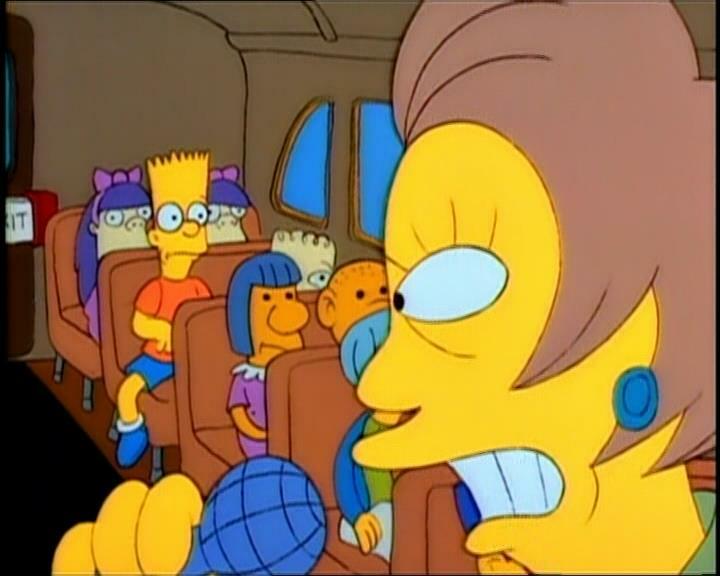 It’s also a darn funny episode, in particular the reactions to Krusty’s arrest, for instance Reverend Lovejoy talking in an almost devilishly evil manner in church about publicly burning all Krusty merchandise, and Bart telling Homer that he’s giving in to mob mentality by taking all of Bart’s Krusty merchandise only for Homer to say what is my favourite quote of the entire season when he says “No I’m not, I’m just hopping on the bandwagon.”. 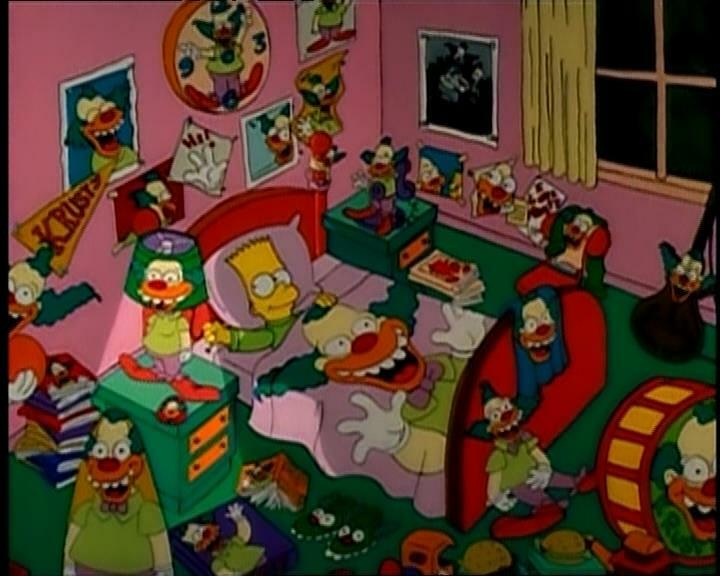 What makes this episode truly special, however, is the fact that you’re not actually given the sense that it was the good guys who won at the end of the day when Bart goes to sleep literally surrounded by shameless Krusty merchandise. This is the illiterate man encouraging kids to read, this is the guy who bets illegally on sporting events, this is the guy who pushed Sideshow Bob to the brink of insanity with numerous failed attempts to shoot him out of a cannon against his will. When Sideshow Bob takes over Krusty’s show it becomes legitimately intellectually enriching and becomes more popular than it ever was when Krusty was in charge of the show. 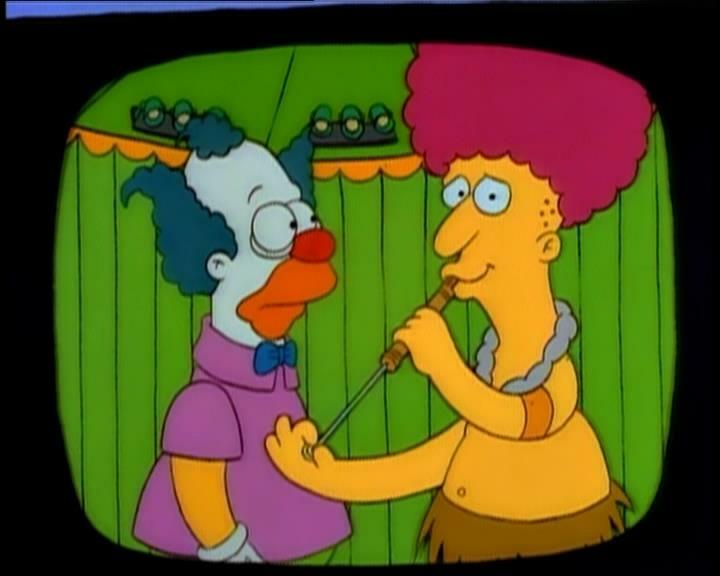 Ultimately, though, Sideshow Bob still tried to frame a man with armed robbery and to this day still seeks to murder him and his biggest 10 year old fan, so it’s fair to say both sides had their share of awfulness. The one positive thing that can be derived from all of this is an admiration for the intangible genius of children. Though I doubt real children would engage with a product like Sideshow Bob’s, Bart and Lisa being able to crack a case this deceptively simple that police officers and lawyers couldn’t holds the message together. 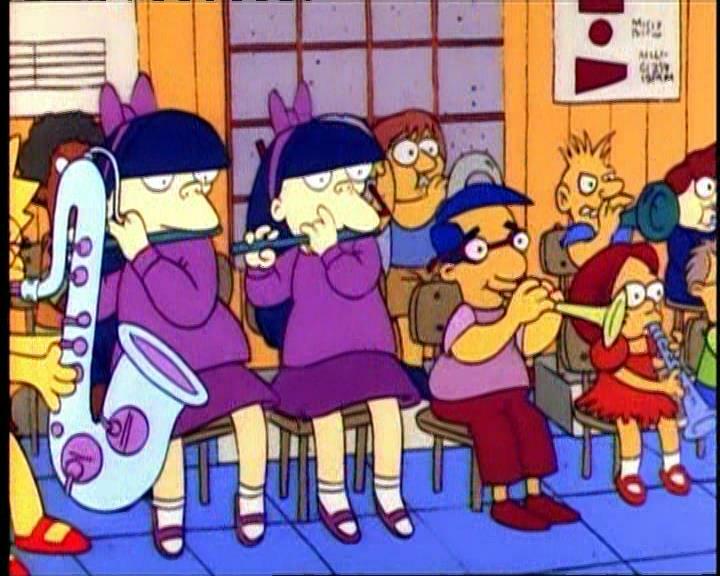 Honourable mentions from Season 1 for best of the season include ‘There’s No Disgrace Like Home’ wherein the Simpsons family go through conflict and eventually put a band-aid over it by getting a new TV, ‘Moaning Lisa’ wherein we see Lisa come to terms with her personal identity as a socially outcasted intellectual with a talent for the saxophone well beyond her years and of course the renowned Christmas-themed series premiere, ‘Simpsons Roasting on an Open Fire’. The Simpsons Season 1 is at its worst laughably clumsy and somewhat tediously slow, but at its best it’s most certainly The Simpsons. A sharp sense of humour as screwball comedy and slapstick with an underlying layer of solid and amusing satire, a fun dynamic of characters who bounce off of each other in all sorts of amusing ways, a graceful exploration of mature themes and and equally wonderful exploration of immature themes, full of distinct yet simplistic yellow-skinned character designs and all around just a smart but straightforward comedy that anyone can appreciate. 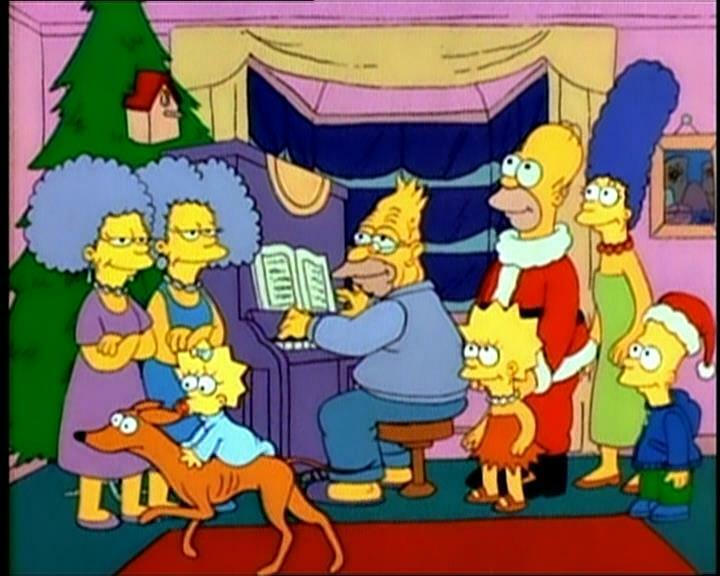 The Simpsons Season 1 is a fun look at the awkward roots of the series, and it’s absolutely a must see for anyone with a curiosity for where it all began. 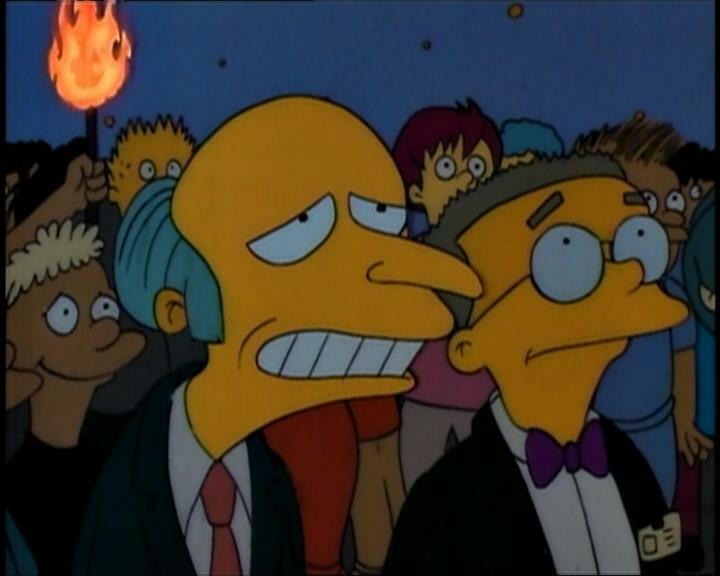 ‹ PreviousBristle’s Babbles #21: What’s The Deal With Scores? I was looking for high-res pictures for my own Spanish-language review of this season and I stumbled across your blog. I’m hooked now. Great job.